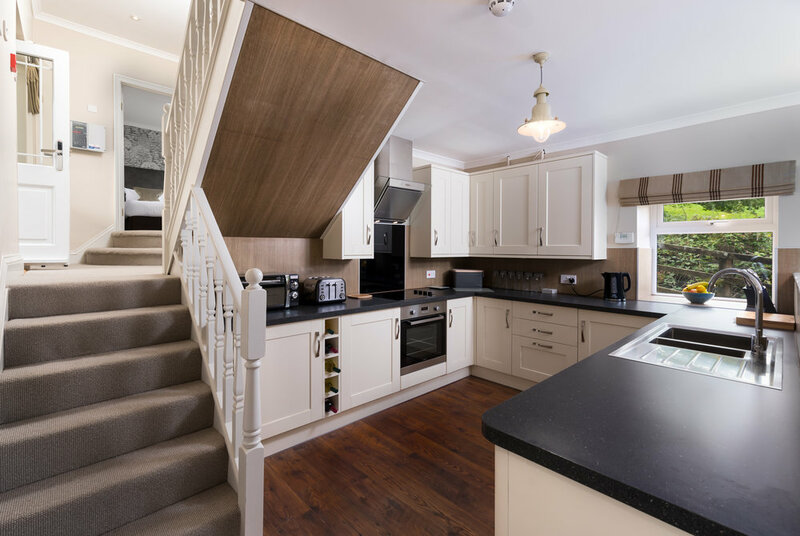 Calico Interiors were commissioned to refurbish this self-catered holiday cottage in Devon. We redesigned the interior layouts, produced and procured all furniture and accessories, as well as the cushions, curtains and headboards. 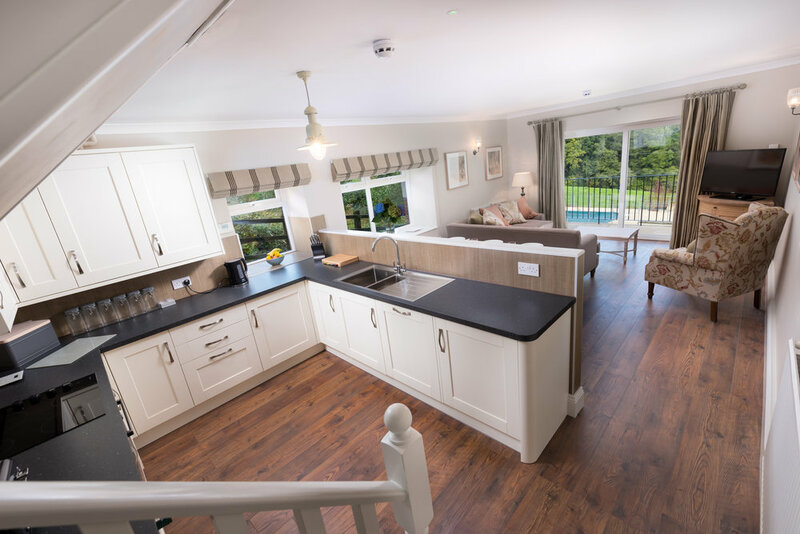 The process for the three cottages overall took six-eight weeks each, and we managed the project from our own workroom and offices. We were inspired by the abundance of deer and wildlife that surrounds the site, which is reflected by the local photography that we hung on the walls.